Pumpkin 1 is just starting to be ready for math at almost 4. Majority of children aren’t ready for math until that age as their brain hasn’t developed that somewhat abstract thinking skills needed for math. Math has always been a difficult subject for me but I love the Montessori method of math since it’s so hands on it makes it much easier to understand. 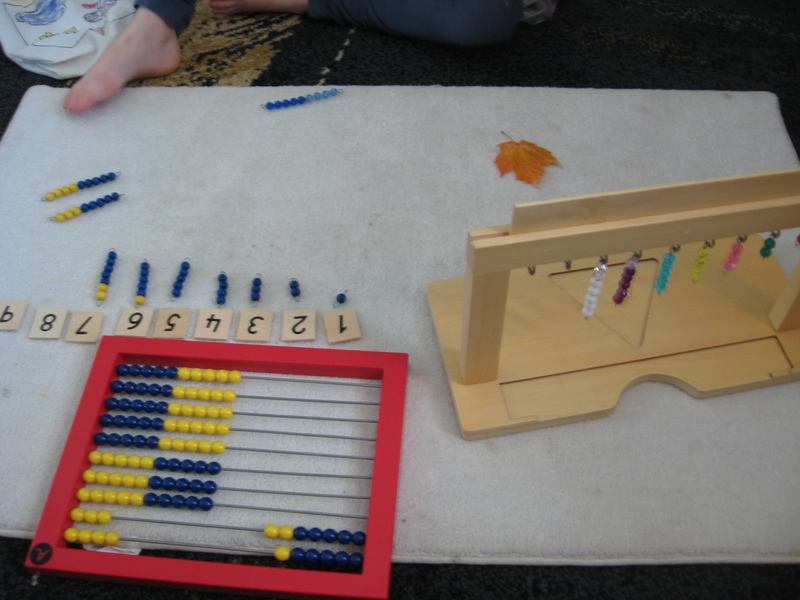 We’re doing a combination of Montessori and Right Start Math. You can read about the Right Start Math approach here and here. 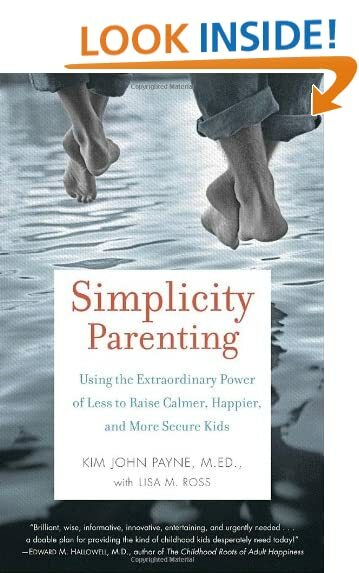 And a video review by another homeschooling mom here. Since I still want to use many of the Montessori math materials I am creating my own bead bars, chains and cubes with the Right Start principle of 5+. 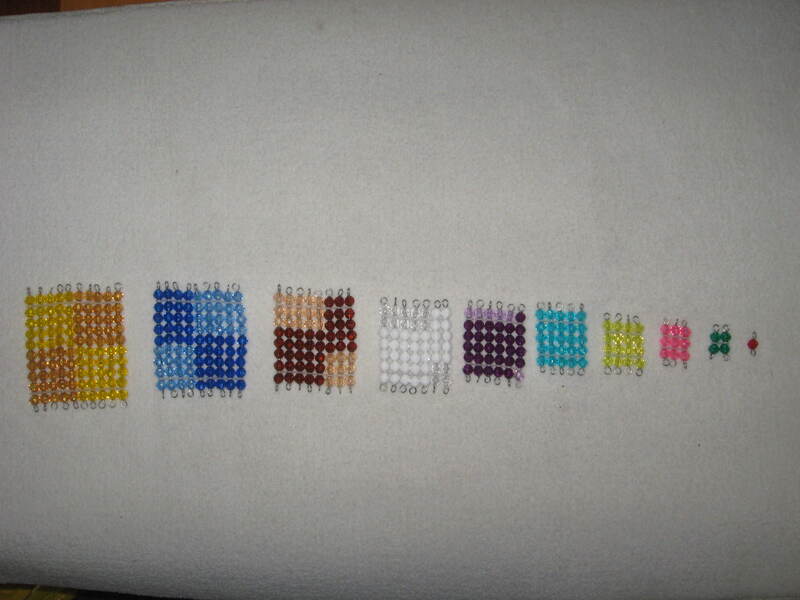 Here is what my beads look like. So you can see for 6 it’s 5 dark and 1 light. 9 is 5 dark and 4 light. 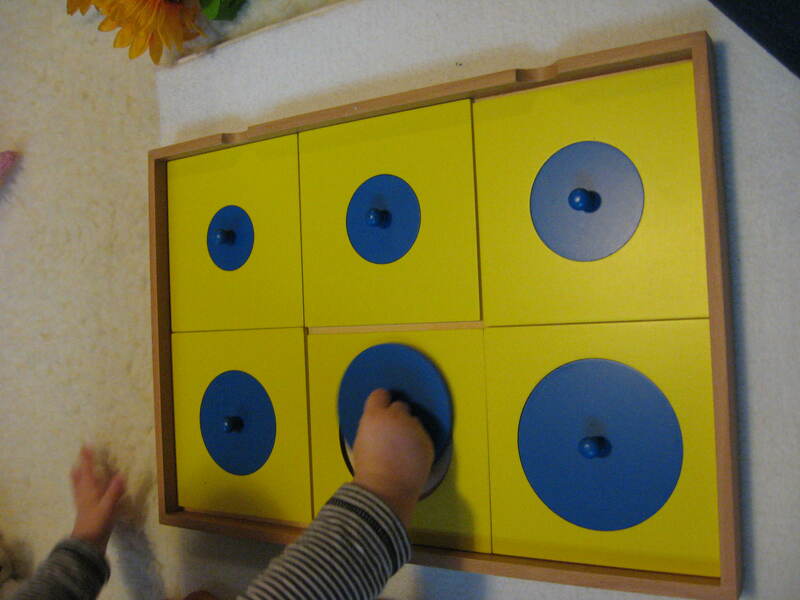 The 5+ concept helps children to visualize the number. You can visualize amounts up to 5 but after that you have to group them in your mind to be able to visualize. Today I was working on helping her understand that the beads and the abacus are the same. She has always loved the hanging bead stair since she was little. If you don’t have one I highly recommend it. Today she was actually counting the beads past 5. Usually she just rhymes the numbers off without 1 to 1 correspondence after 5 but today she insisted on counting every bead bar carefully. When you start to worry as a mom that they’re not getting something, just give it time. A few weeks older can make a ton of difference. We’ve also been working on some geometry. Today we did triangles and quadrilaterals. 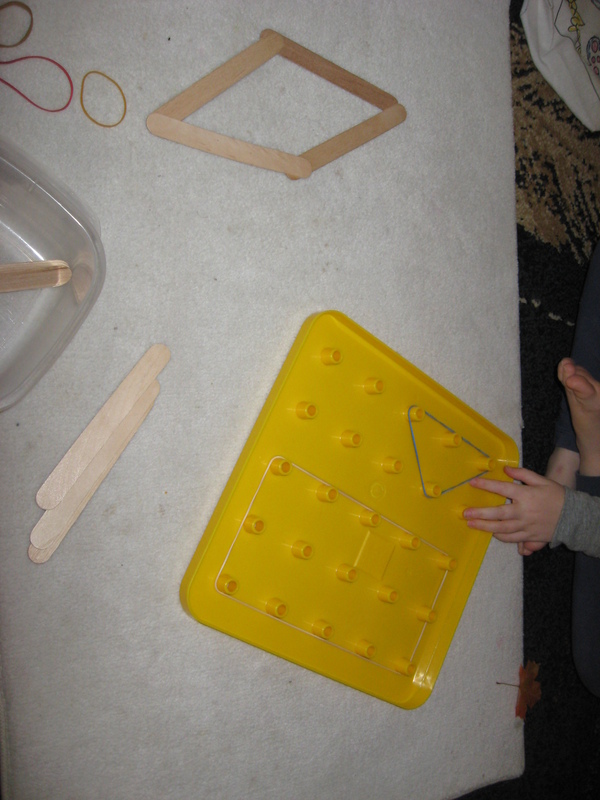 Pumpkin 1 loves this geoboard from Discovery Toys and I do too. It’s huge so it’s easy for her fingers to use, unlike the smaller ones. I made triangles and quadrilaterals on it and she’d tell me which it was. She also likes to just make pictures with the elastics. Last week I was teaching her (and learning myself) the different types of triangles. The geoboard was also perfect for this. 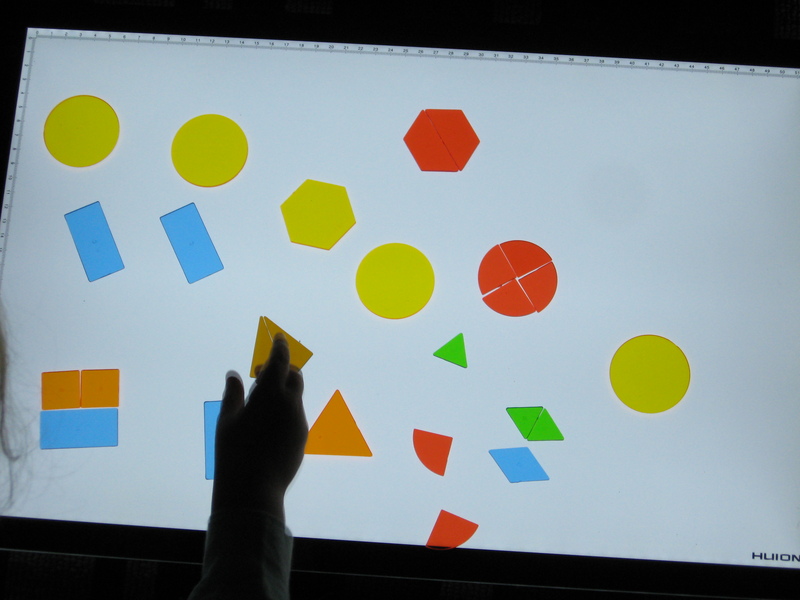 We’ve also been doing shapes on the light table. I use this set of shapes on it and we put them together to make other shapes. 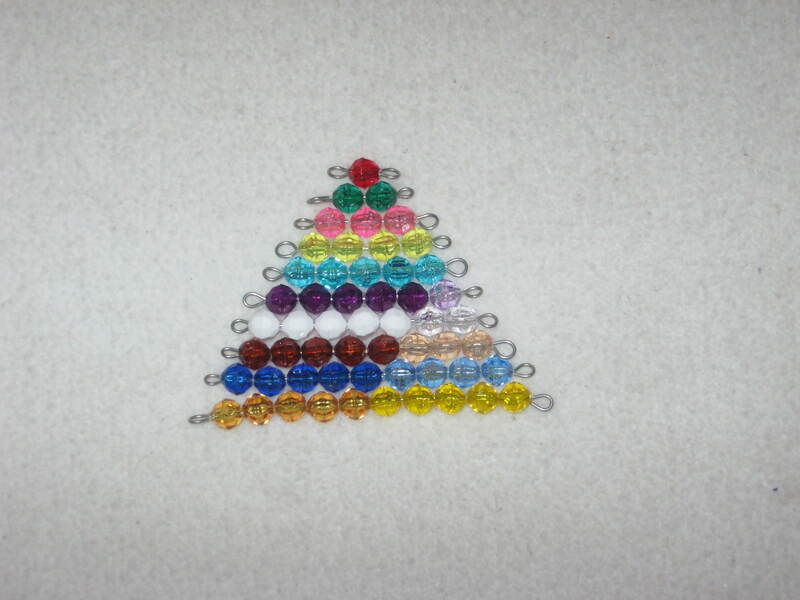 They’re like mini constructive triangles. I’m really enjoying homeschooling in math because of the awesome manipulatives available. We received some new Montessori materials for our “classroom”. One was the Geometric Cabinet. This consists of 35 geometric insets and frames: 6 circles, 6 rectangles, 7 triangles, 6 regular polygons, 4 curvilinear figures, 6 quadrilaterals and 1 blank. Pumpkin 1 enjoys working with it. Right now it’s like doing a puzzle. She’s also learning the names of different shapes. In fact I learned something new. I found out that an Oval is actually an egg shape (larger at one end) and what we call an Oval is really an Ellipse! Also a diamond shape is actually called a Rombus. So much for mommy to learn. 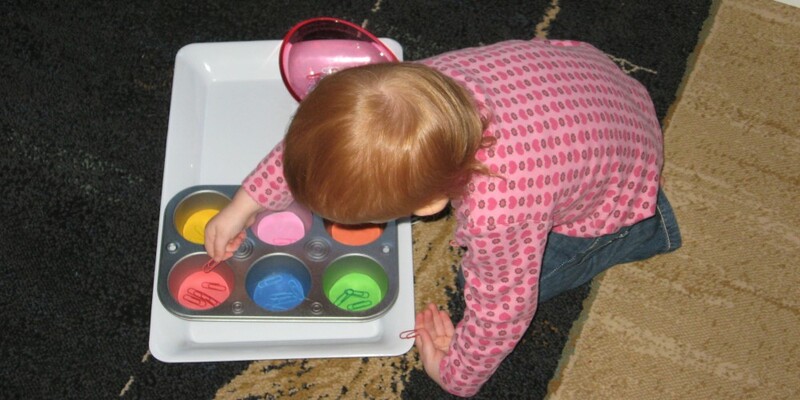 As Pumpkin 1 gains fine motor skills she can begin to trace the shapes with her fingers in preparation to eventually use the metal insets which help her learn to draw the lines and curves found in letters. 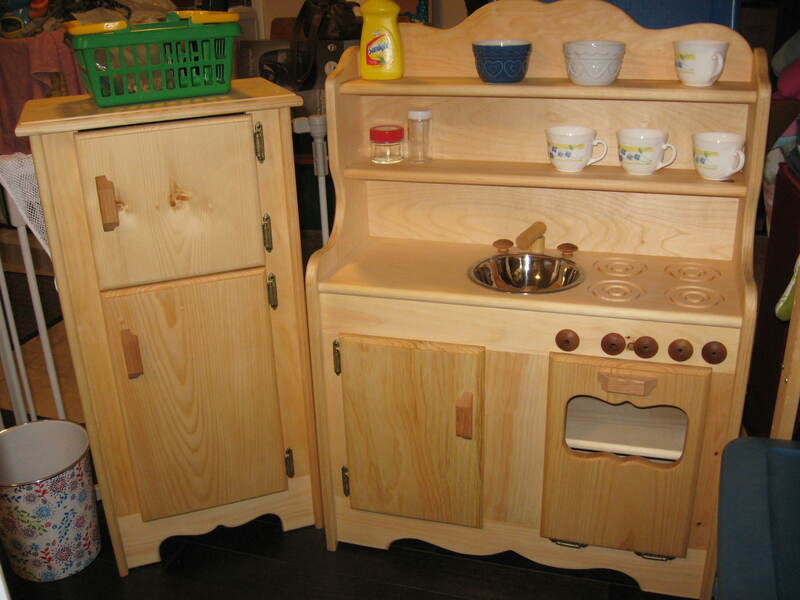 In Montessori each material builds on the previous one and is preparation for the next. 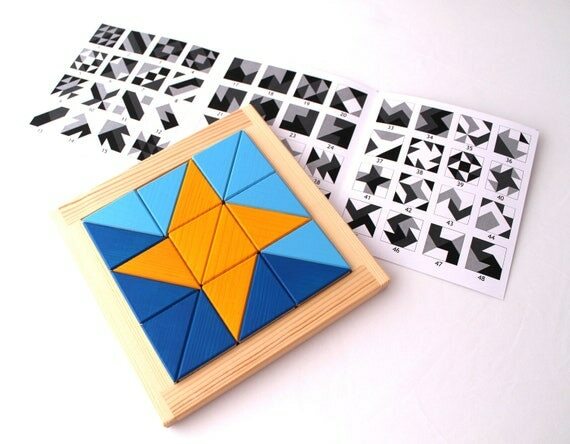 They are not random toys but specially designed materials to teach and stimulate learning. They work in a cohesive manner to connect together skills and ideas. http://www.montessoriequipment.ca/default.asp – Affordable pricing, free shipping on orders over $300, great quality. http://ca.montessorioutlet.com/cgi-bin/category/0 – Lowest prices, quality is good except the sandpaper materials and boxes are sold separately, no free shipping. 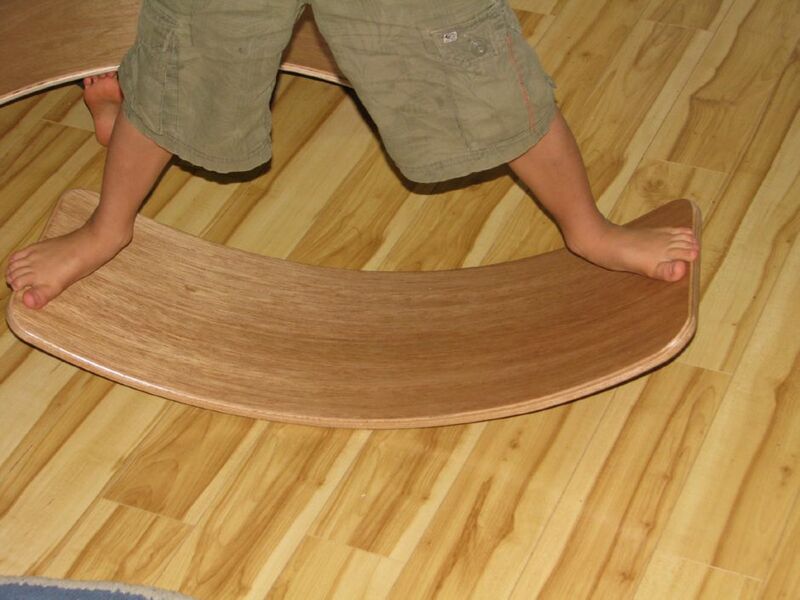 http://www.affordmontessori.com/index.asp – Affordable pricing, great quality, free shipping on orders over $300, great customer service. 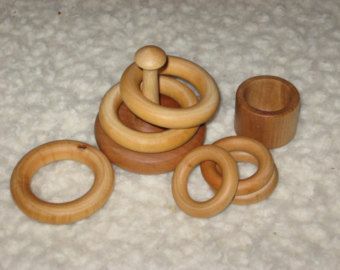 Of the 3 I like Montessori Equipment the best.